Pets Best Insurance Services, LLC, a leading U.S. pet health insurance agency, announced today that Dennis Steadman, a recognized business leader across the U.S. and abroad, has joined the agency’s Board of Directors. 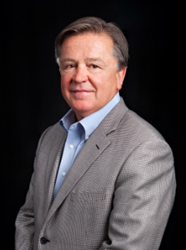 Steadman offers more than 35 years of experience as a successful entrepreneur and serving in executive roles with prominent multi-national companies, including a successful veterinary pharmaceutical company he built from the ground up. Prior to joining Pets Best board, Steadman served as president, CEO and director of Velcera, Inc., an animal health company he developed from concept into a thriving business that was eventually acquired for $160 million. In addition, Steadman served as a senior executive with Merial and Merck, both international developers, manufacturers and distributors of pharmaceuticals. He has also worked as a consultant for numerous Fortune 500 companies and founded Valorum Associates, a company providing strategic and organizational advisory services. He is currently chairman of the board at Piedmont Pharmaceuticals, LLC, a specialty pharmaceutical company focused on animal health therapeutics. Steadman has achieved numerous accomplishments throughout his career, including the creation of a successful venture-backed start-up, as well as forming and implementing innovative veterinary pharmaceutical distribution models in both America and Japan that have been in use for decades. He also designed and executed the successful merger and integration of two multinational veterinary pharmaceutical companies in North America. Pets Best is a nationwide pet insurance agency for dogs and cats, selling insurance plans in all 50 states and Washington, D.C. The company has introduced a variety of pet insurance plans covering a wide range of accidents and illnesses for dogs and cats, including a Feline Illness Plan covering the diagnosis and treatment of feline illnesses, and a Cancer Only Plan covering the diagnosis and treatment of cancer. In 2013, the company expanded its BestBenefit accident and illness plans to cover hereditary and congenital conditions. Pets Best offers reimbursement options ranging from 70 to 100 percent. Pet insurance coverage offered and administered by Pets Best Insurance Services, LLC is underwritten by Independence American Insurance Company, a Delaware insurance company. Independence American Insurance Company is a member of The IHC Group, an organization of insurance carriers and marketing and administrative affiliates that has been providing life, health, disability, medical stop-loss and specialty insurance solutions to groups and individuals for over 30 years. For information on The IHC Group, visit: http://www.ihcgroup.com. Additional insurance services administered by Pets Best Insurance Services, LLC are underwritten by Prime Insurance Company. Each insurer has sole financial responsibility for its own products.